through our accredited and accelerated training programs. to become transformational business coaches. We believe that coaching is an art and a science. That transformation requires memorable experience. And that execution is key. 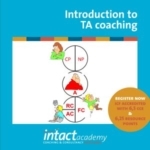 Are you interested in learning about a concept in TA coaching and consultancy, experience exercises and experiment with your own action plan? 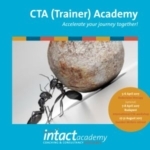 By joining you will get anything that will help you understand and apply TA in organisations. Are you an experienced coach with at least 400 hours of practice? What to transform businesses in 28 weeks? 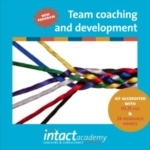 Are you a master coach or consultant who wants to develop others? 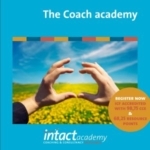 Want to make a profit with your own coaching and consultancy business? Interested in gaining further insight into your personal and professional journey and understand your next step of development? 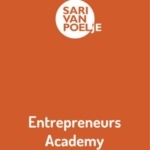 I know Sari van Poelje as an extremely dynamic group leader who at the same time ensures one's personal development. I admire her impulse, consistency and the way she focuses on the target she set. The four years I spent in the group organized and led by her gave me safety and depth in transactional analysis, as well as activity and motivation in my work as a consultant. Sari van Poelje is very well versed in organizational practices and theory. She is a model for us in OK-OK relationships. I realized great progress in my personal development. Sari taught us to be open and to have the courage to expose our vulnerability. I warmly recommend her as a talented trainer in organizational TA and in the same time as extraordinary human being. This was one of the most useful training programs of my professional life. Sari managed an excellent balance between theoretical concepts, safe opportunities to practice skills and use of the group processes in the learning process. She constantly stimulated our thinking and self-reflection; demonstrated excellent skills in dealing with emotions, displayed high energy and encouraged the group to have fun as well. Back into the work environment, the skills I have developed during this program have a high impact on the value I add to the business as HR professional. Sari is absolutely genuine and authentic. She presented the entire training material in a coaching way. She provided an excellent personal example. My experience of Sari is that she 'lives' her material and this is reflected in her clarity and energy as a trainer. She is committed to the learning of each individual in the group and is open to challenge and discussion, responding authentically and flexibly. I appreciate her warmth and feel affection and respect for her as a person and a trainer. Sari is an exceptional trainer. As you would expect she knows her material extremely well, but she also inhabits it, using both her own experience and what is happening in the moment as a key part of the teaching and learning experience. In addition, she is a warm, funny, challenging and compassionate companion to us, her students, on what can be a bumpy journey to understanding ourselves and, through that, understanding more about TA and how we can use it. I did the three-year education (TAO) at Intact, with Sari as teacher. During these years I experienced her as a bright and warm person, very experienced in the theory and the practicing of TA and involved with her students. She is very good in finding in no time the core-points and splinters. If you want to specialize in TA I can warmly recommend her! The trainers are passionate, skilful and dedicated. The content is enriching. The combination gives you the opportunity to understand what happens and act out of potency.